Tantalize the world out there when you dawn this absolutely elegant Women Long Kurta brought to you by Snehal Creation. This Casual Kurti carries around subtlety with its circular motif pattern on both white and black base separately. 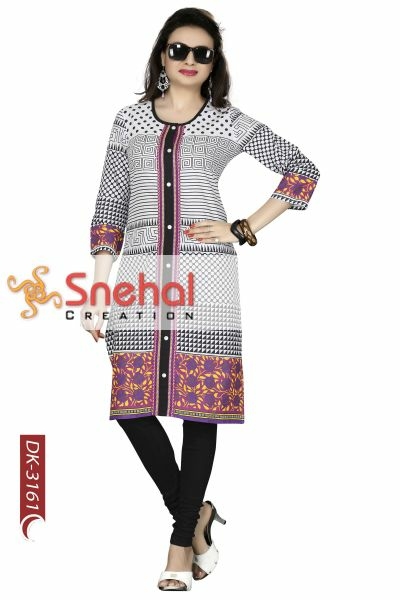 The neck area of this black and white kurti has a differently printed pattern in the same colour palate. The styling on the neck line and panel makes this cotton Casual Kurti stand out. It is the perfect daily wear option. Available in different black/white prints.